This one was a tough work but I´m very happy with the result. 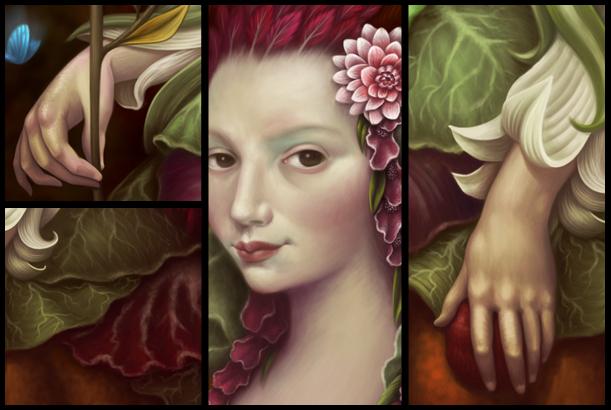 She is Flora, the goddes of flowers and plants and my intention was to do a portrait of her that looks like the classic baroque portraits of aristocracy. 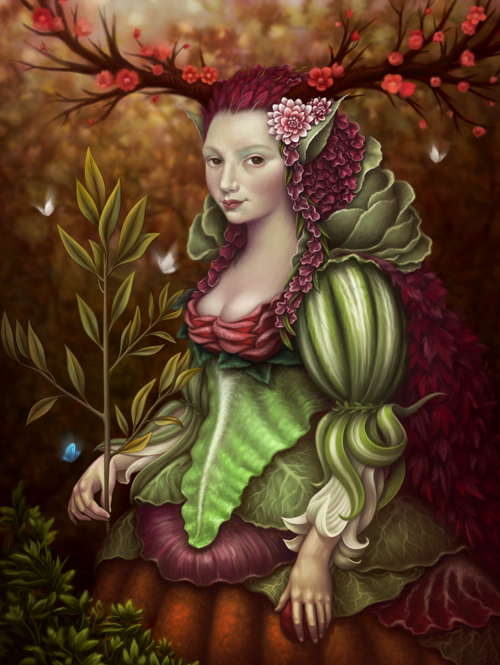 Done in photoshop CS3 with a Wacom Intuos 4.